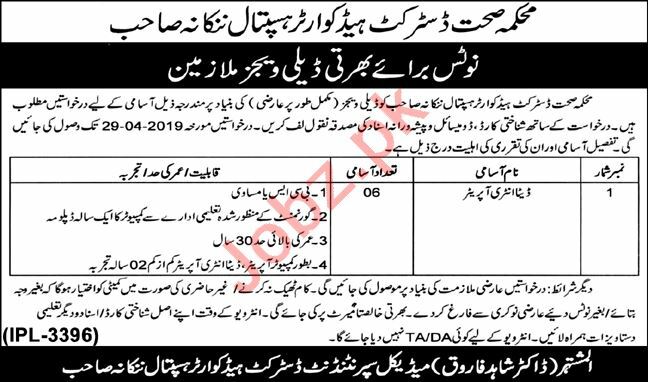 District Headquarter Hospital DHQ is inviting experienced and energetic candidates for the posts of Data Entry Operator in Nankana Sahib. Interested candidates can contact for further information. You can apply online at vacancy after registering at http://www.jobz.pk site.